[evomsit] is dedicated to achieving ultimate perfection with the upgrades and services that we offer. ECU tuning is an art and having the ability to manipulate various different ECU’s is something that only a handful of companies throughout the world can successfully perform. [evomsit] is one of these elite few that can successfully tune Bosch, Siemens, Campi / EFI Technology, Marelli, Delphi and select other ECU’s in house; however this is only a piece of the equation. Another other critical aspect of ECU tuning is to possess complete hands on mechanical understanding of the latest generation high performance engines. 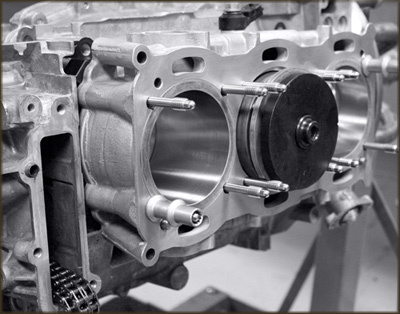 This is the foundation of [evomsit] and there are no other US based aftermarket performance companies that have more experience and has built more engines than Evolution MotorSports has. We have practically reengineered the entire Porsche flat 6 engine and we have manufacture our own components that replace the OEM internals. Combining these two equally important facets of the engine tuning process clearly sets [evomsit] as a true leader in all aspects of engine tuning and development. The [evomsit] software engineering team consists of a worldwide network of the most qualified and highly respected members of an elite tuning community. 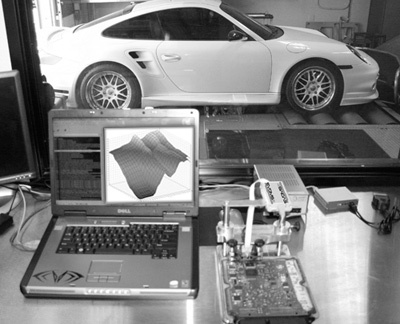 Our Arizona headquarters is responsible for the majority of the research, development and testing where [evomsit] founder and President Todd Zuccone is in charge of the software calibrations and ECU tuning. Mr. Zuccone works directly with Senior Technician / Porsche engine specialist and engine builder John Bray. The combination of these two powerful, mechanical and meticulous minds are responsible for deciphering and understanding the “brain” of the cars, translate this information and make the necessary changes that allow all of the engine systems and software calibrations to work together in perfect synchronicity.